The Bible is living and breathing, and it just as relevant today as it was in ages gone by. Biblical series taught at North Chapel focus on issues, topics and struggles that we all face today. Select the series you desire to watch below. April 13, 2019 - Current | To many, the cross is a great mystery. Why would God sacrifice so much for humanity, as well as for each of us individually? Dr. Bobby Brewer, Lead Pastor of North Chapel Bible Church, shares about the Greatest Love Story ever told in the 2019 Easter series: “This is Love”. Jan 8, 2017 - Nov 26, 2017 | Ushering in a new era, the earthly ministry of Jesus changed everything. Jesus made it crystal clear that God is on our side, doing everything possible to save us. Somewhat surprisingly, Jesus selected 12 apprentices, aka disciples, with the ultimate purpose of carrying on His mission following His departure. This meant that everything, (really, everything) had to be re-centered and reset. One of the twelve chosen to record and implement this "reset" was a former tax collector-Matthew. 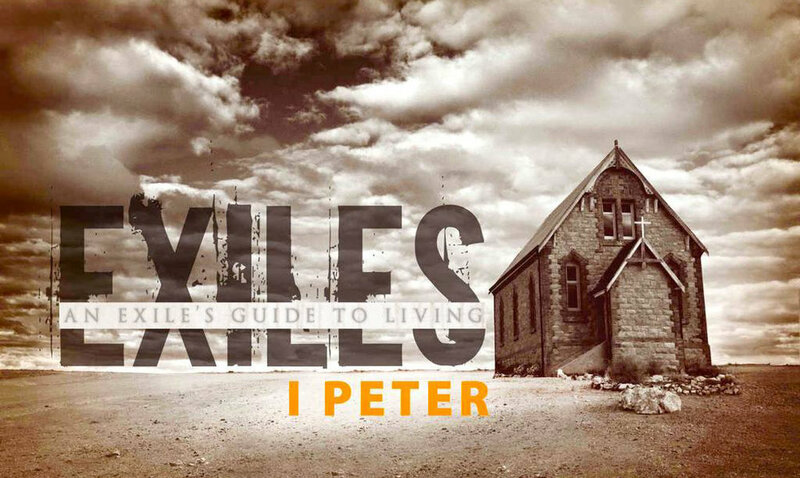 Apr 14 - May 6, 2018 | The Parables of Jesus are seemingly simple and memorable stories that convey deep insights that are central to truly understanding the teachings of Jesus. Many Bible commentators and scholars describe their understanding as essential for being a genuine disciple. This teaching series by Dr. Bobby Brewer will unpack the ones covered in Matthew's gospel and enrich your life not only in the here and now but in the age to come. May 20, 2018 - Aug 5, 2018 | Ushering in a new era, the earthly ministry of Jesus changed everything. Jesus made it crystal clear that God is on our side, doing everything possible to save us. Somewhat surprisingly, Jesus selected 12 apprentices, aka disciples, with the ultimate purpose of carrying on His mission following His departure. This meant that everything, (really, everything) had to be re-centered and reset. One of the twelve chosen to record and implement this "reset" was a former tax collector-Matthew. Sept 30, 2018 - Nov 25, 2018 | Ushering in a new era, the earthly ministry of Jesus changed everything. Jesus made it crystal clear that God is on our side, doing everything possible to save us. Somewhat surprisingly, Jesus selected 12 apprentices, aka disciples, with the ultimate purpose of carrying on His mission following His departure. This meant that everything, (really, everything) had to be re-centered and reset. One of the twelve chosen to record and implement this "reset" was a former tax collector-Matthew. Jan 6, 2019 - March 3, 2019 | Most of His ministry has been in the backwoods of Galilee, but now Jesus moves His ministry into Jerusalem acting as if He owns the place...He does! Join Dr. Bobby Brewer, lead pastor of North Chapel Bible Church, as he teaches more from the Book of Matthew in this new series titled: "Jesus in Jerusalem: The Last Days & Final Teachings". March 16, 2019 - April 7, 2019 | Beginning in Matthew 24, Dr. Bobby Brewer, Lead Pastor of North Chapel Bible Church, teaches about the signs of the End Times in this four part series from the Book of Matthew titled: “Jesus & the End Times”. Feb 10 - Mar 4, 2018 | Just as the apostles walked closely with Jesus and learned everything from Him, we, too, are called to be apprentices of Jesus. 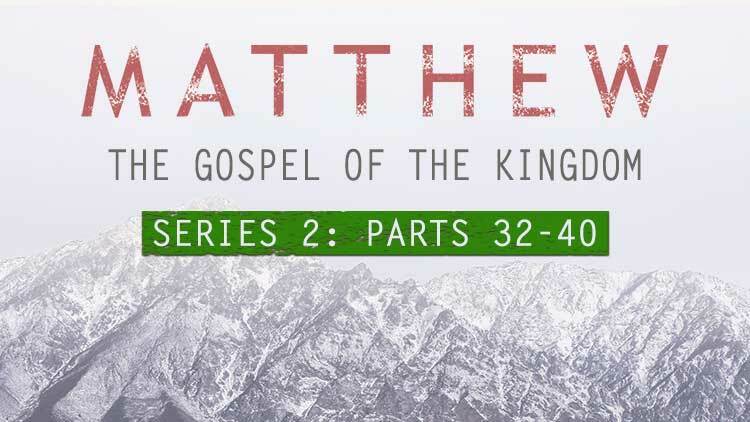 This series picks up where the series, "Matthew: The Gospel of the Kingdom," left off in the book of Matthew and teaches how to live the life that Jesus encourages all of His followers to live. Jan 13-28, 2018 | In this 3 week mini-series titled, "What in the world? ", Pastor Bobby Brewer explores what is going on in the world today and the disorder that we seem to find ourselves in. Feb 12 - Mar 19, 2017 | If you could ask God any question, what would it be? Would it be, "Why does a good God allow suffering?" How about, "What really happens when I die?" Or, "Do all roads or all religions lead to God?" "Is Jesus really God's Son?" "Is the Bible true and can I trust what it says?" These are all great questions. In this series, we explore these questions. Sept 18 - Oct 16, 2016 | In "An Exile's Guide to Living," Pastor Bobby teaches how Christians should live during troubled times. June 5 - Aug 28, 2016 | The so-called "chosen people" were seemingly in decline. God seemed distant. A superpower, Babylon, had exiled them to a foreign land and left Jerusalem and the temple in ruins. For over a century and a half they were hanging on by a thread. Disturbed by both the physical and spiritual welfare of his people, Nehemiah puts feet to his prayers and begins to rebuild the glorious ruins. You can too. 2016 - 2019 | The A La Carté series features a variety of guest speakers that North Chapel has had the pleasure to host, along with Pastor Bobby Brewer. Their teachings cover a multitude of topics including how to distinguish false teachers, stress management, wrestling with God, how to avoid being deceived and other topics. Relationships, whether with friends, family or dating/marriage, can be trying at times. We hope you will find both help and hope in these miscellaneous teachings and interviews. North Chapel Bible Church partners with ministries throughout the Valley of the Sun. Ministries include: CHIEF, Chosen People Ministries and Reigning Grace Ranch. We hope you enjoy learning how their ministries are making an impact for the Kingdom of God. In our culture, we are notorious for bringing in each New Year with a resolution, or multiple resolutions, ranging from losing weight to finding a significant other to bettering ourselves. Why not start this year off with a resolution that will actually stick? For many, the cross is a great mystery. Why would God sacrifice so much for humanity, as well as for each of us individually? Dr. Bobby Brewer, Lead Pastor of North Chapel Bible Church, shares about the Greatest Love Story ever told in the 2019 Easter series:“This is Love”. This special Christmas teaching series titled, "Christ in the Carols", takes a look at the Biblical meaning behind the most classic carols. Carols to be covered include O Come Emmanuel, Come all ye Faithful, Silent Night, and O Holy Night. Over two thousand years ago, a star burst through the darkness and signaled the long-awaited, yet still unexpected birth of a Savior. Christmas can still truly give us a taste of the most wonderful time of world history. The True Light came into the darkness and stress and pain of the world—our world. That world then, just like our world now, including our lives, needs the Light (Jesus) to illuminate, clarify, guide, and heal. This is the journey of following the star to Christmas—and beyond!